The Aunt’s Mirrors is a memoir published by Brandl & Schlesinger. The Aunt’s Mirrors reveals an unexpected story of how an immigrant family from Poland made a new life—whilst continuing an old one—in nineteenth-century Beechworth, Grafton, Rylstone, and Sydney, through the shared sense of meaningfulness that permeated the lives of seven generations of this Australian Jewish family. To read more about Freeman’s family, click here. The book was launched by Noel Pearson at the Union, University and Schools Club on 24 November, 2014. To listen to Pearson’s speech at the launch, click below. To read Freeman’s speech at the launch, click here. To listen to Freeman’s speech at the launch, click below. To read a report about the launch on the publisher’s website, click here. 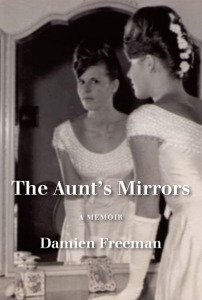 Freeman has been invited to speak about The Aunt’s Mirrors at a number of events. To read “The Values of Australian Jewry”, a talk that Freeman gave at the Sydney Jewish Museum, click here. To read “The Meaningfulness of Objects”, a talk that Freeman gave at the Art Gallery of New South Wales, click here.